Thread: News Article on Wang Paper - PIE is Anatolian again? Anybody else as confused as I am? 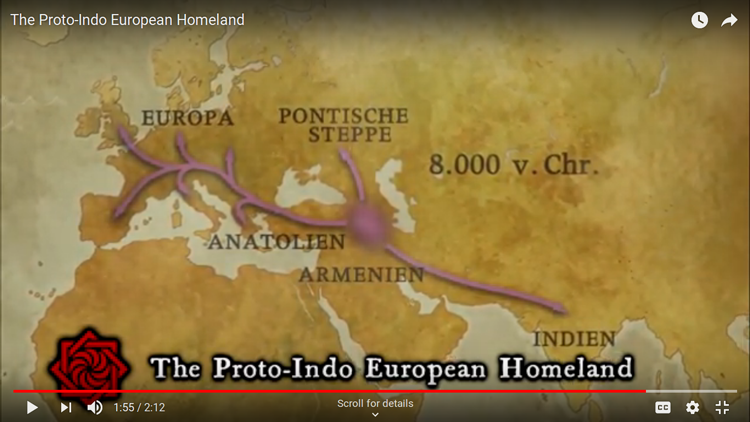 I thought there were only two remaining camps - the Southern origin associated with the source of Steppe CHG and the indigenous Northern Steppe origin. But now, it looks like Max Planck is seriously proposing an origin with farmers. It's just the words of the reporter, not even directly quoting anyone, so I wouldn't put any weight on it. The reporter has to cover lots of topics, it's doubtful he knows the exact implication of saying "Anatolian farmers". I just got a ten second vortex in my head were every knowledge i had from the subject and this max planck conclusion mingled and created in my head a dramatic lost of comprehension about the world and everything. But i'm happy to be alive to see the future. Btw, " Yamnaya herders from western Asia ". Does ANYBODY have a clue how Max Planck can believe this? I align with Harvard and Reich pretty well, they don't seem to believe in ridiculous things such as IVC spoke Indo-Aryan, Danubian farmers spoke Centum IE etc. Do they have some data we don't to lead them in that direction? I AM JOKING about the Jewish part by the way, before any accusations come in. His motives have to be questioned though, Southern Russia isn't in Asia. I think hard science is by default ( i could be wrong ) protected against political correctness because it revolves against logical deduction. And deduction is a big part in archeogenetic most of them already acknowledge it, like using deduction when using calculators ( exemple: if modern southeast asian ancestry pops up in mesolithic baltic, there is an obvious error ). I think however to other reasons, that i will keep to myself. But they probably gonna vulgarize their position in a few times, even if only one week earlier, they linked PIE with the increase of CHG/Iran ancestry component... It might also being a big mistake by the author of the article himself, he might didn't get the conclusion, or i dont know. I wonder where in the study it says Yamnaya inherited 10 % to 18 % from 'eastern European farmers'. 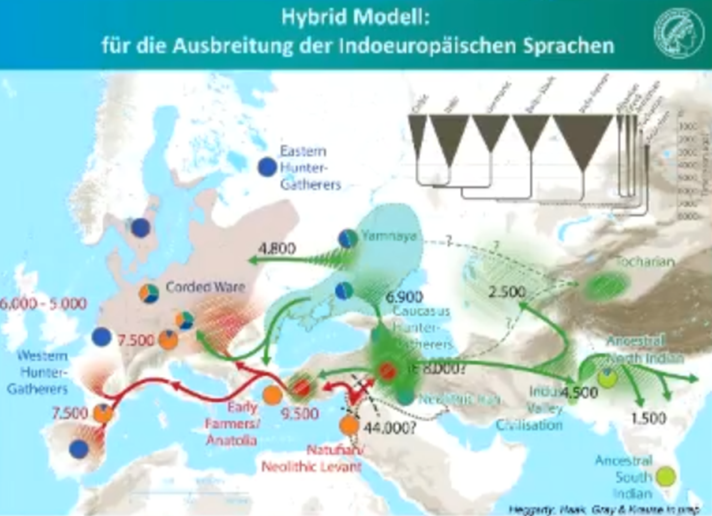 And to what extent the DNA of those 'eastern European farmers' differs from the regular neolithic European? Maybe they deciphered Linear A and find it to be Indo-European :)) Though even that wouldn't be enough. Linear A COULD be Anatolian-like - I won't speculate too much but it's something I could believe. No but... You cannot say one week " we link PIE with increase of CHG/Iran " and the other one " we link PIE with Anatolian Farmers ". This is science not a debate between two bipolar persons. That is gonna be called out by the community and other scientists non affiliate with Jena, Planck, Harvard whatsoever. inb4 Harvard Gate. Wasn't Maykop like G2a/L1a? So more likely to be from EEF. They can not stop free speech... So why change the settings on this thread. Closet ra ci sts. If Minoan is IE and there is a relationship between the scripts you mentioned then related IE speakers might have moved to Balkans and then Indo-Europeanized the steppes. I think Balkan origin of PIE was one of the options on Eurogenes' blog. This is a total speculation though and may be complete nonsense. A Balkan origin doesn't seem right, is all I'll say. Also, Minoan isn't likely to be IE even if I think it and Tyrsenian might be Anatolian-like. That's a real dead end, the G2a in Maykop is the same as nowadays Georgia. All Southern haplogroups from this study, are today well represented in Caucasian languages. That's an overkill for this hypothesis. And no, it was L2/L595, not L1a wich was Areni-1 cave. Does ANYBODY have a clue how Max Planck can believe this? They have a very similar understanding of the issue as my own, so what don't you understand? They're not saying it spread with early farmers they're saying it spread with CHG mountain herders. You didn't read anything then. They're saying it spread with farmers. Well Wang's hypothesis is language transfer without admixture I guess. Seems to me like something they made up as they went, like the hybrid hypothesis in general. Verging on pseudoscience even. You're just misinterpreting what they're showing. The have the weight that this actually already happened, with Romans and their conquered peoples. It's then a No EHG Anatolia/Cultural Conquest hypothesis. It's also fits well in the " Caucasus was a sink " idea of David Reich, everything goes straight in like a Puzzle, when it only concerns hypothesis of scientists that have relationship with each others, wich there is probably a pejorative word for such synergies just like collusion? I don't think I am - they're clearly referring to the Steppe Maykop outliers as signs of Maykop making a tiny ethnic contribution that was involved in culturally rather than demically spreading PIE.